You might remember me. 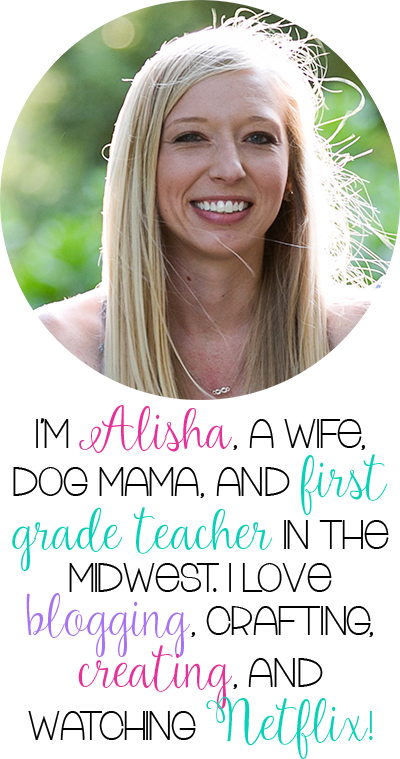 I'm Alisha. I blog here at Missing Tooth Grins. I talk about my dogs a lot. Today was my tenth day of school. 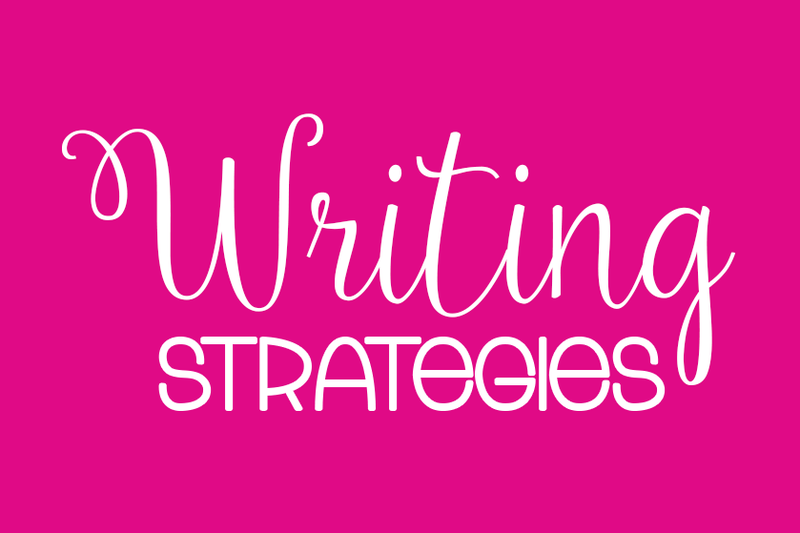 I told myself I would not stress about blogging or keeping up with my Teachers Pay Teachers store while getting back into the groove of school. Well, I did stress and worry about it, but I still let myself take some time off from it so I could truly focus and enjoy my first two weeks at school. 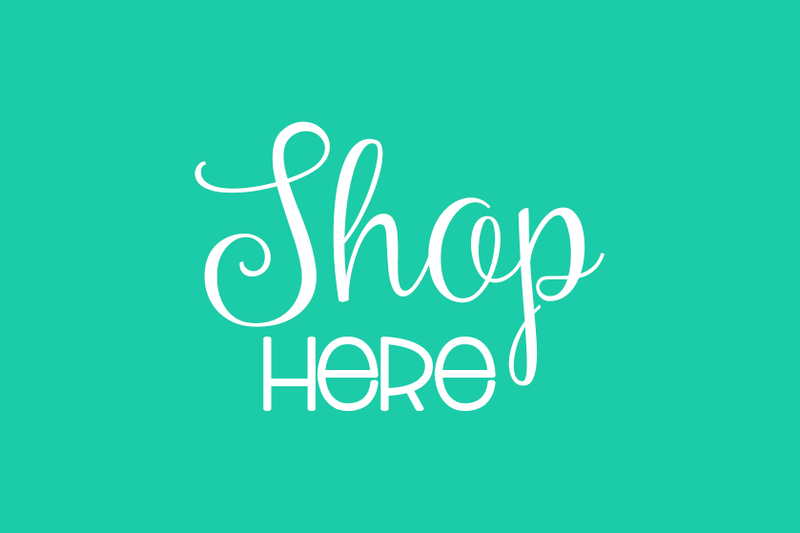 Anyway, I'm here to share with you some activities we have been up to! It's been ten days of pure bliss! I completely adore my class and I am so excited for this school year and to watch them grow! 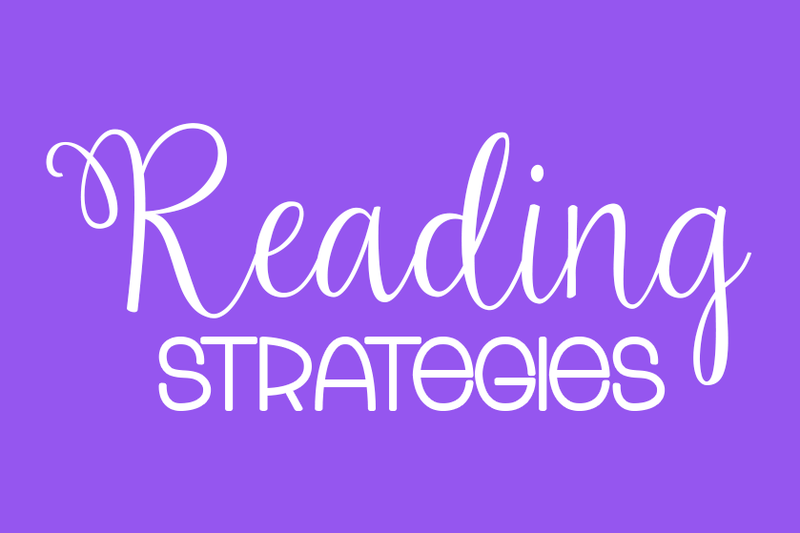 I'm linking up with Kacey from Doodle Bugs Teaching to share some things about the past two weeks. I know it's supposed to be just over the week, but I have some catching up to do! 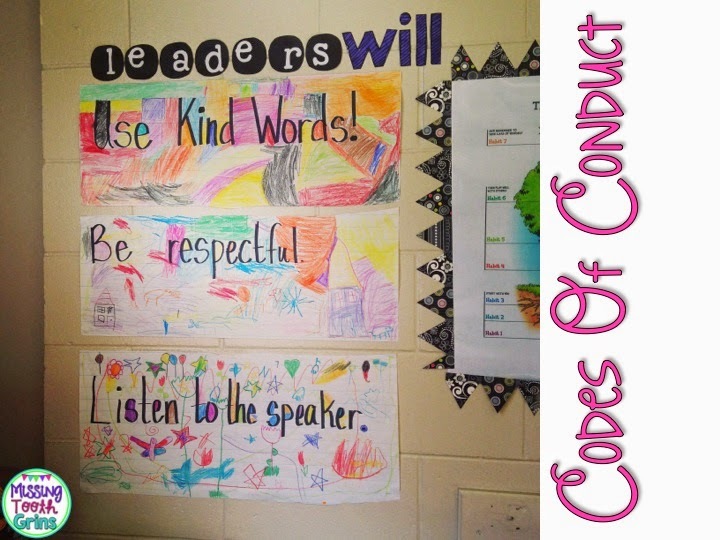 The kids really love that they have ownership and a voice in making our Codes of Conduct. Coloring these was probably one their favorite parts of the day! 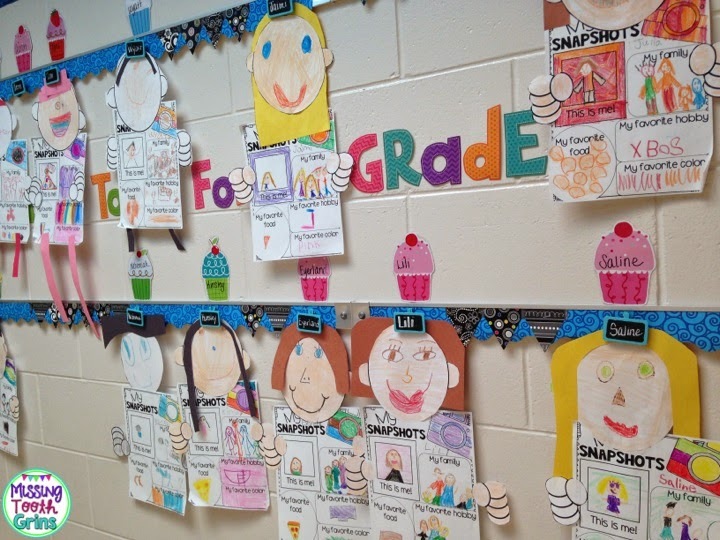 We were working a lot from my Back To School Snapshots pack last week as well! I'm pretty excited with how stinkin' cute the All About Me Snapshots craftivity turned out! Here they are in the hallway, hanging from their little chalkboard clothespins! 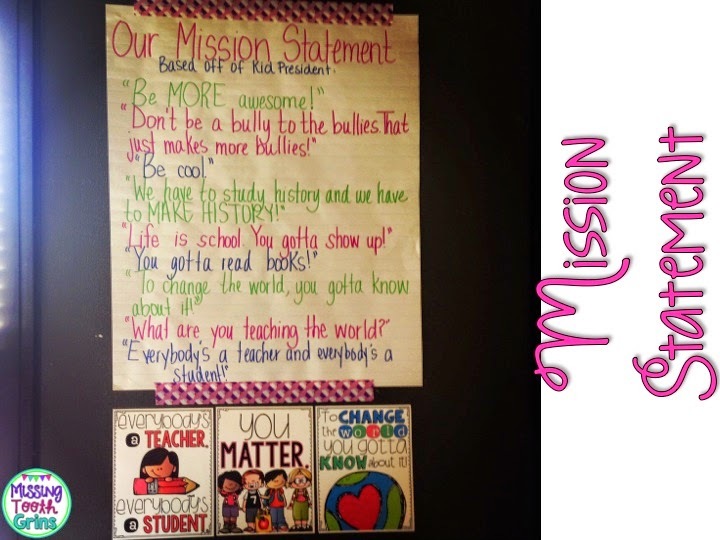 We made our class mission statement after watching Kid President's Pep Talk video. We watched it a total of three times. The first time, we just watched and the kids absolutely fell in the love. The second and third time, we stopped after the kids raised their hands to say they wanted to include a certain quote for our mission statement. The first quote you see on there, "Be MORE awesome!" is the main mission statement of our class. The other quotes are quotes we decided we would like to live by. They are all quotes that the students decided. I had nothing to do with it! So proud of how hard-working and kind hearted they are. Here's a close-up of those posters. I'm not finished making them, but I would love to have them all around our mission statement poster. We also read Chrysanthemum during our first week at school. 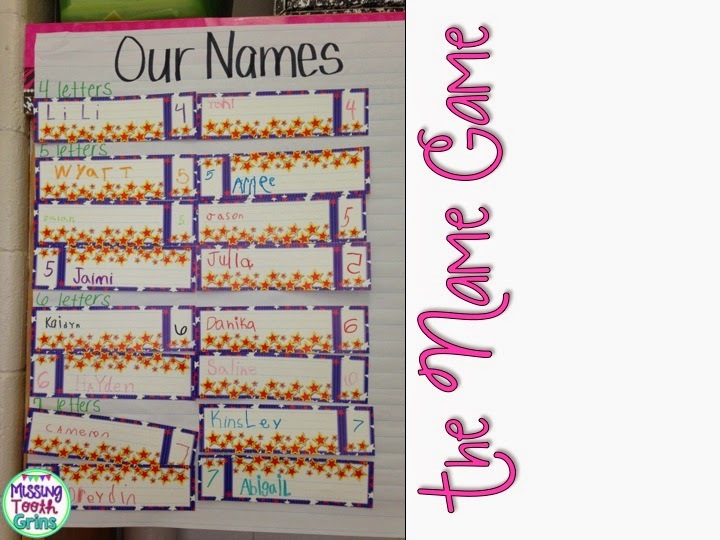 After reading, we discussed names, why we like/don't like our names, why our names are important, etc. Then, they each wrote their name on name tags and counted how many letters were in their names. They wrote in marker which was pretty much the biggest deal ever! Then, we grouped our name tags by how number of letters. Also, this is not my entire class. We used another half of a chart paper. If you haven't had your first day of school, you need to go download this amazing freebie from Live Laugh Love Kindergarten. 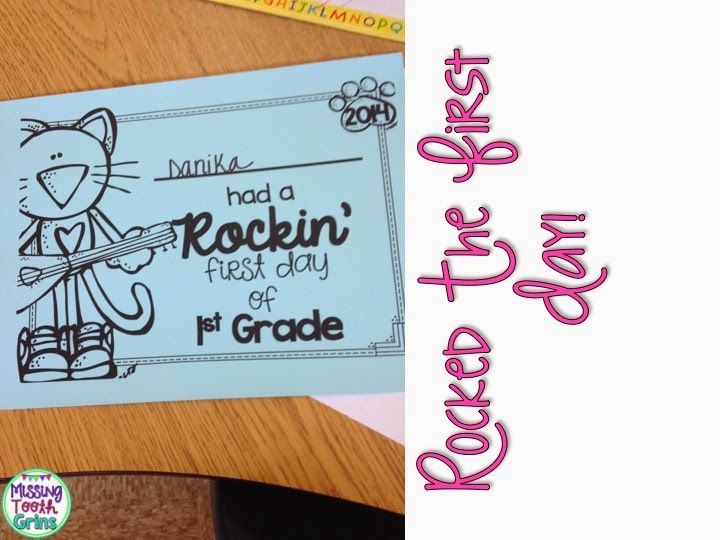 It comes with first day certificates and adorable little crowns. We read a Pete The Cat book at the end of our first day, made our crowns, and then they received their certificates. Seriously, so adorable. Even if you've already had your first day of school, download it for next year! I love it! Anyway, I'm off to catch up on two weeks of blog reading. Have a great weekend! I love your "Kid President" posters! Sounds like you've had a good first couples of weeks of school. O.M.G. 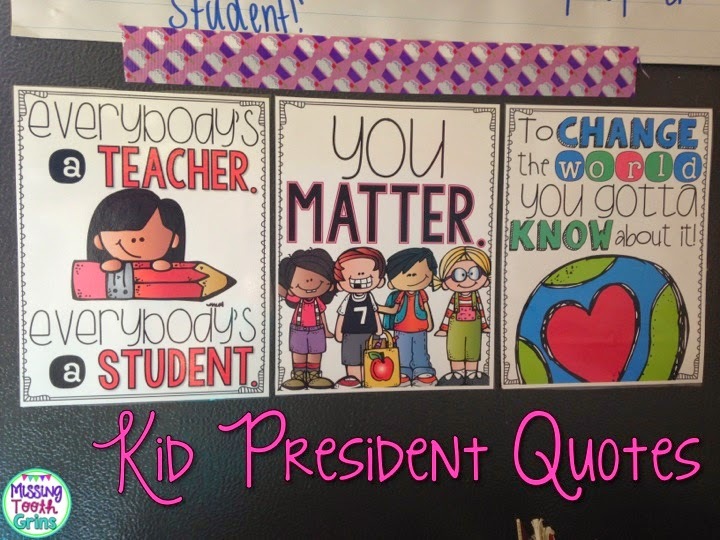 I need those Kid President quote posters!!! !